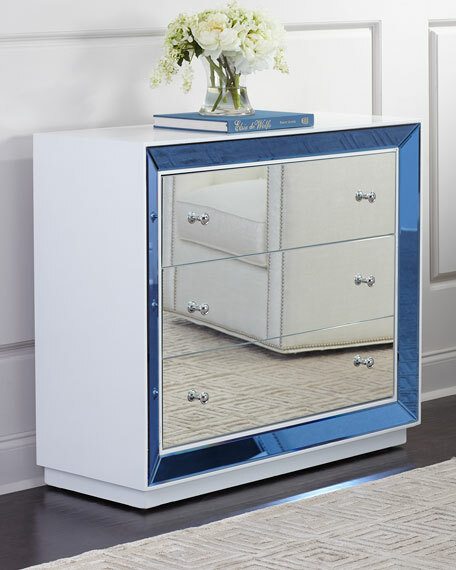 Beveled blue mirrored glass surrounds clear mirrored drawers like a dazzling piece of framed art. A white lacquered case completes the mixed-material look. 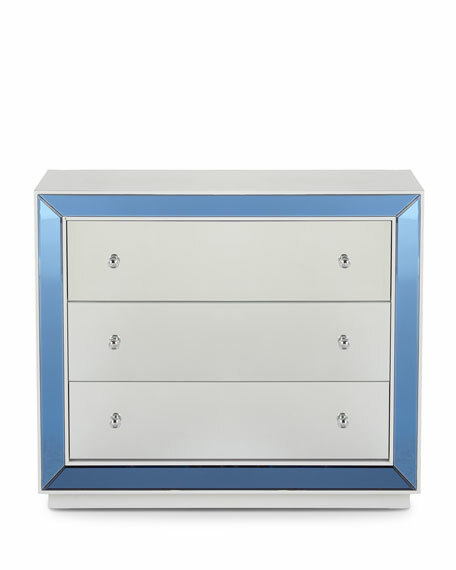 beveled, blue mirror trim framed three glass front drawers. Overall, 40"W x 15"D x 34"T. Inner dimensions, 31.3"W x 11.5"D x 5.3"T.
Boxed weight, approximately 152 lbs.